Jeff Ronner is Chief Financial Officer at Shields Health Care Group, managing the financial strategy, reimbursement and administration for the company as well as it’s more than 20 joint-venture partner sub-companies. He oversees the finance, reimbursement, payer contracting and purchasing functions as well as human resources. Ronner is committed to the high level of integrity and transparency for which Shields is known. 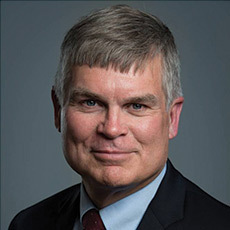 Ronner joined Shields in 2003 from PerkinElmer Life Sciences where he held positions of General Manager of Life Sciences Americas and Controller of the Instrument and Special Products Groups. Jeff holds a bachelor of science degree from Albright College and a master of business administration from Suffolk University.